It seems you have come here for website design and development solutions for your real estate business? Whether it’s raising awareness of the listings you have, or getting connected with the potential home buyers or sellers, having a website is the quintessential thing. A joint study by Google and the National Association of Realtors show that nine out of 10 home buyers search online before coming to terms with the seller or any real estate agent or broker. However, merely having a website doesn’t guarantee success. Unless you gain an edge on the competition with an awesome website, you can’t expect your brand awareness or customer acquisition strategy to stay in tune with your business mission. Similar to any creative art, real estate web design and development trends are constantly changing. Some trends upset the businesses because those failing to march with them go the Dodo way. Discover the top trends to help you with building a great website that is not only beautiful but also profitable. Flat design style is all the rage among real estate website designers. Large typography and parallax are its prominent features. The tend allows you to provide an engaging website to the users as more they scroll, more information, listings or other content they discover. Experienced web designers suggest keeping minimal content on our home page. The content is complemented by descent color schemes and streamlined features. It wouldn’t be possible to provide all the information that users are looking for on a single webpage. Hence, provide a powerful search option. Use a full-width search tool that is clearly visible on any desktop or mobile. Integrating it with autocomplete functionality is icing on the cake as it will ease the job of the users because not everyone is expert in typing. Moreover, it can correct the spelling and suggest them with more listing or other information they might love discovering. The dominant of mobile-Internet has made users addicted to sliding and scrolling. The Hidden Menus is borrowed from mobile apps. So, it’s quite possible that users will feel uncomfortable accessing a website without those gestures and control. Flyout options like Search [Community Name] Now,” “Contact Agent,” “Read Blog,” etc. You can rely on us for authentic and trendy real estate website design and development solutions. 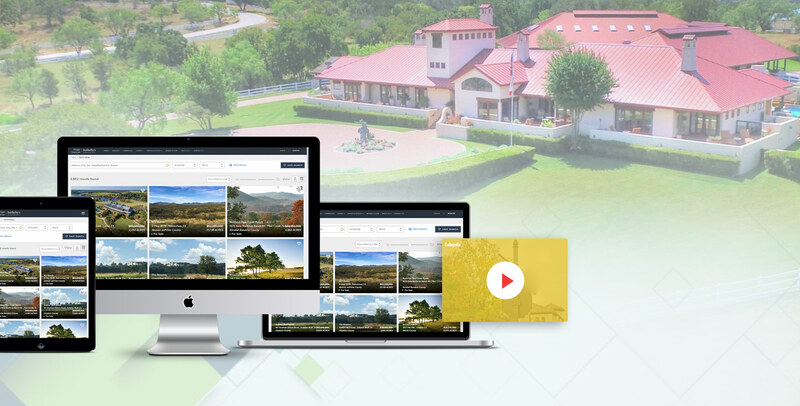 We have worked with noted real estates brands like Briggs Freeman Sotheby’s Realty that deals in hi-end luxury homes and properties.This real estate website is powered by MLS to help buyers access a wide range of properties in their preferred areas. The technology is of great advantage for real estate agents and brokers who can work on the listings of others and share the profit margin.